Editor’s note: This story was originally published by its author on her personal blog. Thanks, Claire, for telling us your story and letting us share it on RCW. Climb on! In March of 2013, I decked from the top of my gym during a local onsight competition. I slipped off the last move of the route and fell 35 feet to the ground, without any friction of the rope to slow the descent. After what was probably a few minutes, but felt like an eternity, I was strapped onto a backboard and into a neck brace – so restrained that I couldn’t move even if I tried. Apparently, they do this because any movement could cause damage to the spine and leave me paralyzed. A couple hours and a CT scan later, I was good to go. I went straight back to the competition to watch the rest of my teammates compete. Everyone kept telling me how lucky I was to be able to walk away from that. I had back spasms for the couple months that followed. While the physical injuries I sustained were minor considering what could have happened, the psychological damage impacted me the most. I was terrified of lead climbing and top roping for the rest of the season. I wanted to train and improve but I just couldn’t get over my new fear of heights. I continued to compete, but I lacked the proper motivation. 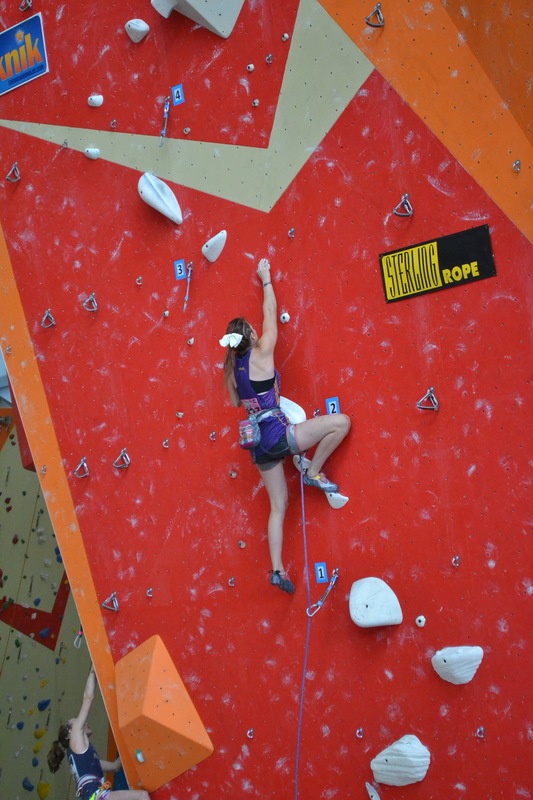 I wanted to place well in competitions, but I had a hard time putting my full effort into climbing. When I was on the wall, I spent my time calculating how much damage decking from my position would do, rather than focusing on sending the route. And even then, I could only trust a select few to belay me, which was a problem in competitions when volunteers are the belayers. I lost my drive to compete in SCS. When sport season came around a year later, I wanted to overcome my fears. It was difficult, emotionally taxing, and a bit embarrassing. 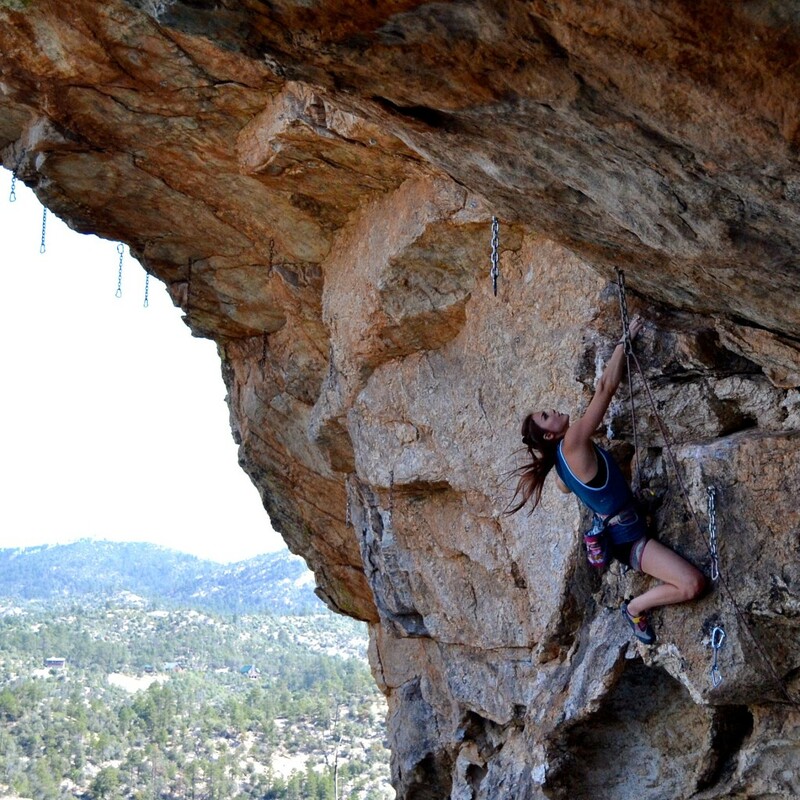 I remember my first lead climb that season: I got to the second draw in the gym, maybe 15 feet up, and started crying. My coaches talked me through it but I felt weak when I wanted to feel brave. I noticed that I’d often try to get on routes with low cruxes that I knew I wouldn’t get very far on, so I wouldn’t have to climb to the top. I just wouldn’t try hard. I took a four-hour clinic designed to help people overcome their fears of lead climbing; it still did not change my mindset. My coaches and teammates were always very supportive and spent a lot of time working with me, but the help of others can only get you so far. Things won’t change unless you decide you want to change them, even with the encouragement of others. Encouragement helps, but it’s not the biggest factor. My coaches told me that when you leave the ground, you make the decision that you are going to try to get to the top. In sport climbing, there are certain things you can control, such as where you clip the next draw from or how you position yourself when you fall, but when it comes down to it, you don’t have any control over your belayer. And that’s just something that I needed to accept. I spent a lot of time training for bouldering season after that; about nine months passed where I didn’t touch a rope. I had a totally different agenda: bouldering. I started eating better, I focused more on climbing than cross training, and I built up my confidence. 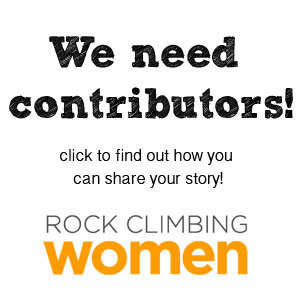 I wanted to think of myself as a good boulderer and strong competitor. I didn’t want this experience to define me. This past Christmas day, I decided I wanted to go sport climb outside. It was out of the blue, especially since it was still bouldering season and it had been so long since I had sport climbed. Nearly two years had passed since the incident and this time I was motivated. I wanted to send things. I wanted to project outside every weekend like I did when I was a freshman before my fall. I was tired of being afraid. I’m not totally sure what changed. I could have been my determination to conquer these fears and have a successful SCS season or simply the passage of time. It was most likely a combination of both. Since that Christmas day, I’ve yet to feel any unreasonable fear in leading. 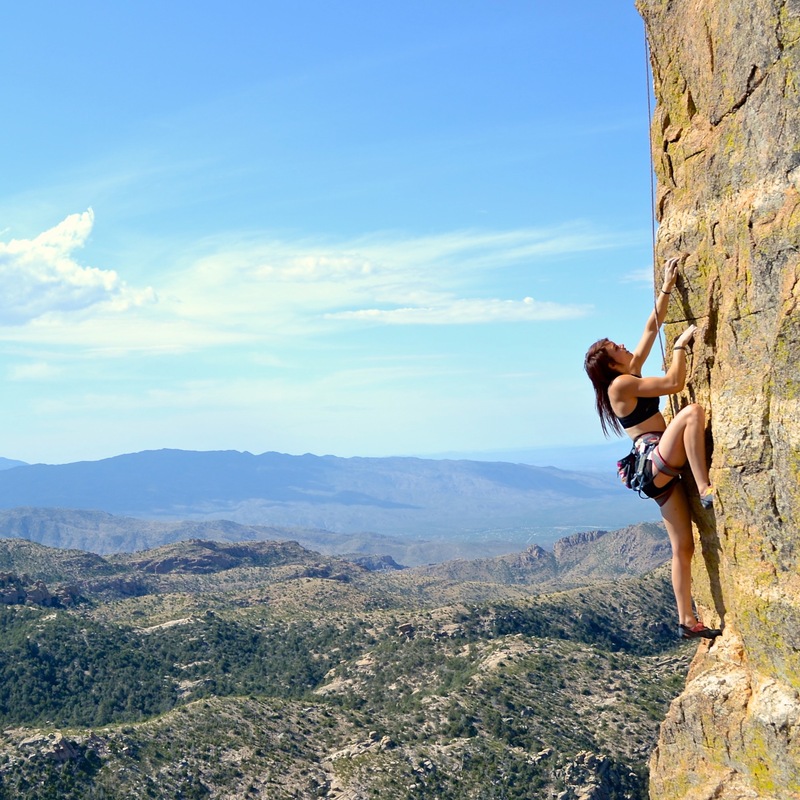 I try to avoid run-out or chossy routes outside; however, I don’t have any irrational fears and I’m not worried about decking or hurting myself. I’m still struggling to put myself in the mindset of trying my hardest every time I tie in after two years of apathy. I hope it will come with practice. And honestly, I’m getting pretty excited to see what this sport season has in store for me. 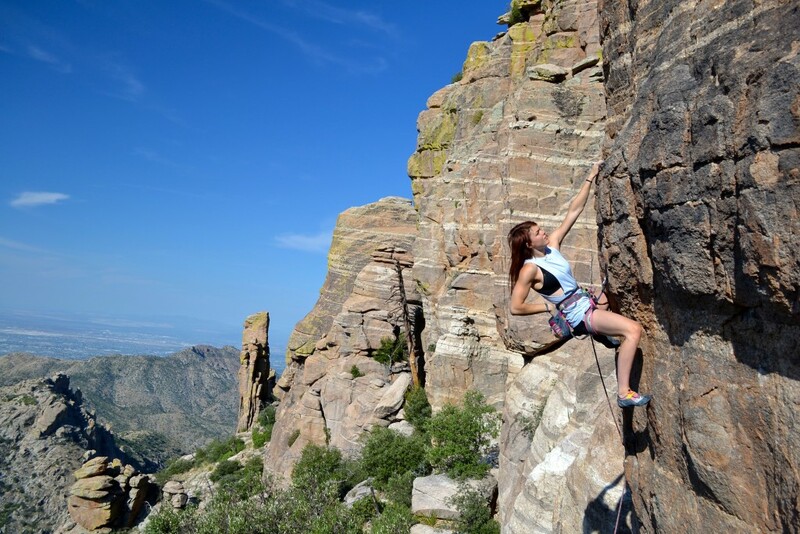 Claire Bukowski, 17, climbs on Team Rocks and Ropes in Tucson, Arizona. 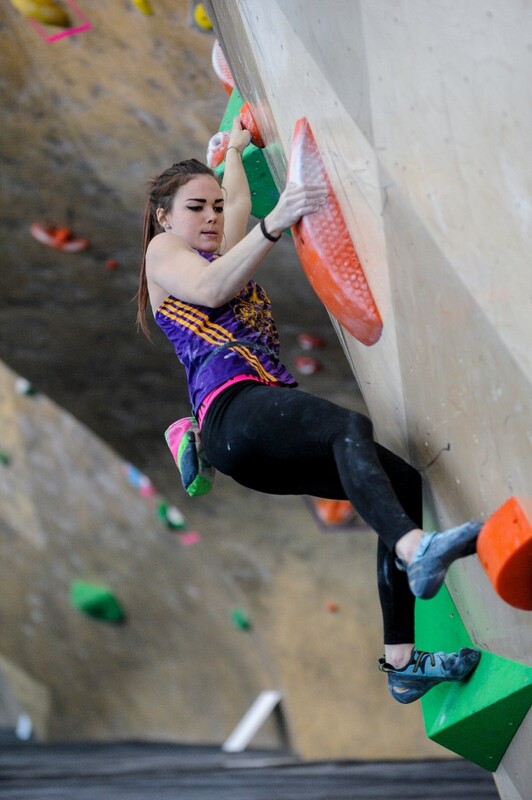 She started climbing in 2009 after visiting the climbing gym a few times and deciding to try out for the team. She has competed every since. Follow her blog. I recently had this happen to me except it was at my local gym and I was alone practicing lead. I had completed the route came done unclipped from the auto-belay and untried from my rope and pulled it down. Taking a drink of water and checking my phone I decided to send a 5.11A, which I have done several times before. Tied into my rope and began climbing (YUP I forgot the auto-belay) got to 20ft on the wall and my left foot slipped; I didn’t scream or fear a single thing, I just fell and for 2/3 of a second I did nothing. Just waited for that auto belay to kick in. It was until I hit the ground and rolled to my side I realized “I F***ing for got the auto-belay”. Three years of indoor, outdoor, and trad; setting up anchors for a climber to clean the route and climb out of the crag. How does this happen? Why didn’t I catch this? Why wasn’t I scared? I was in the air for so long and yet I didn’t never thought I was free falling. I climbed for the fear, and over coming it, to got to the top of a mountain; our own personal mountains and limitations if you will. So now what; do I climb because of the same things I used to now? Or is it something else, and thats what I am trying to figure out.